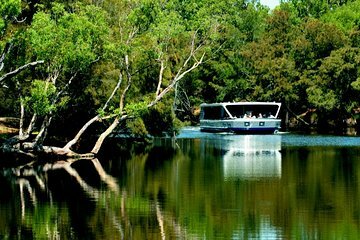 Take a cruise down to the Swan River while enjoying wine and cheese during this full-day, guided tour that includes winery tours tastings. At a vineyard, see grapes growing on the vines and sit down to a platter lunch. Visit a second vineyard to sip and sample their verities and then stop at a few boutique beer breweries in the area to test a few brews. Cap your day off with chocolates and truffles. You'll be dropped back at around 5pm to the Perth CBD accommodation you are staying at or the Perth Train Station. Or somewhere on route please discuss this with the driver on the day to see if it is possible.